*As with any medical treatment, there could be complications from this procedure, the most common being eyelid drooping. We invite you to consult with any of the members of our staff for further information. This is an FDA-approved treatment by injection of a small amount of a purified protein derived from botulinum toxin into the muscles underneath wrinkles or frown lines. This procedure weakens and relaxes the muscle so that functional lines and wrinkles gradually resolve. The procedure takes effect after about three to seven days. The improvement then lasts for about three to six months. Eventually after multiple treatments, longer-lasting results will remain, requiring fewer treatments to maintain results. The net effect is a more youthful, rested and relaxed appearance. 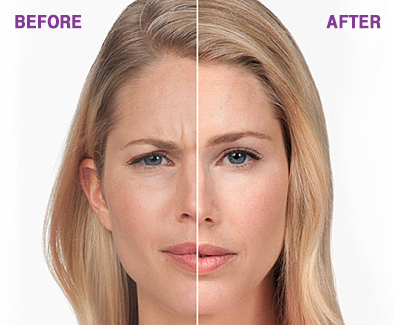 It is possible to accomplish a brow lift with the use of Botox. Also, glabella and forehead lines and crow’s feet respond very well to Botox injections, and to lines around the mouth and drooping mouth corners. The procedure takes only a few minutes and requires little to no downtime. Years of squinting, concentrating, or frowning can cause your skin to furrow and crease. As time passes, your skin becomes less elastic and those moderate to severe frown lines between your brows remain…even when your muscles aren’t contracting. The moderate to severe frown lines between your brows that form are often referred to as your 1’s and may make you look angry and unapproachable. Botox Cosmetic can give you real, noticeable results whether you have one moderate to severe frown line between the brows (1’s) or two (11’s), or even three (111’s). Ask us if Botox cosmetic is right for you. There are a variety of different peeling agents with different concentrations that we use in our practice to correct a variety of skin problems including melasma, sun damage, poor skin tone and texture, fine lines, acne and mild acne scarring. These may include glycolic acid, salicylic acid, or trichloracetic acid peels. 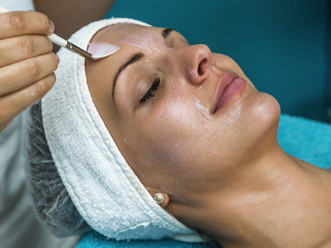 It is best to have a consultation in order to determine which type of peel is most suitable for you. 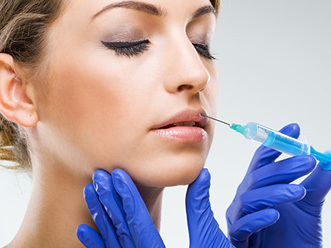 Fillers are devices approved by the FDA for correction of lines on the nasolabial folds. These include Radiesse, Belotero, Juvederm Volbella, Voluma, Vollure, Restylane, Lyft, Refyne, Defyne and Silk. We also offer fat reduction under the chin with Kybella. In addition to the nasolabial folds, they could be used off label on marionette lines ( ), frown lines, lip lines and lip augmentation. The correction with these agents is not permanent, requiring treatments every 6-12 months depending on the agent. Studies have shown that the regular use of these devices can help to induce collagen production requiring less treatments over time. Swelling and bruising are temporary complications. Also, although uncommon, unevenness could occur which can be corrected with additional product. Because skin anatomy varies depending on the individual, it is best to make an appointment to customize the treatment. 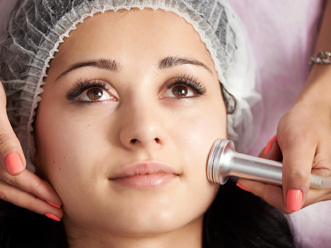 This procedure is performed utilizing a medical grade Microdermabrasion system know as DermaPeel. Aluminum oxide crystals are applied to the skin surface under high pressure to remove the dead outer skin cell layer. The debris is then evacuated by negative pressure. This process stimulates wound repair mechanisms in the dermis, enhancing replacement of important constituents such as collagen, elastin and glycosaminoglycans. The net effect is smoother, brighter, younger appearing skin. It is useful for treatment of acne, mild acne scars, sun damage, photo aged skin and as an adjunctive procedure to photodynamic therapy. Many patients undergo a series of treatments to enhance the effectiveness of their topical skin care regimens. Sclerotherapy is the treatment of choice, preferred even over laser surgery for the removal of leg veins. 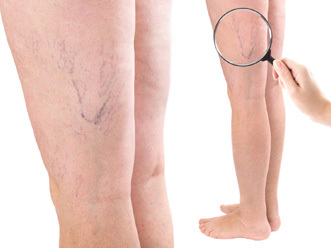 This procedure entails an injection of superficial leg veins with a sclerosant. Fibrosis gradually develops and obliterates the lumen of the vessel. The needle used is small, and there is little pain involved. Several veins can be treated per visit. After treatment, there may be some transient bruising and/or discoloration. Compression stockings are recommended for a 2 week period after the procedure. Approximately 50% of the veins injected will require additional treatments; these can be done at four-week intervals.